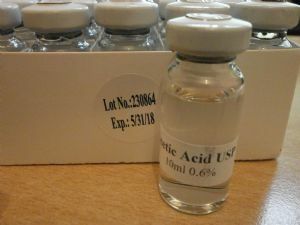 1 x 10ml Acetic Acid 0.6%. Recommended for IGF-1 Reconstitution. 1 x 10ml Acetic Acid 0.6%. Produced in a sterile laboratory, please do not buy this product from underground labs.